How many times have you spent your day dealing with request after request to add, remove, or change additional insureds? When was the last time you thought about what we were actually doing when we issued those endorsements? Adding an additional insured is potentially one of the most dangerous transactions in insurance. 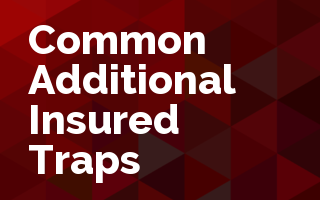 We need a clear understanding of what coverage is actually being afforded to the additional insured and what that means to the policyholder.